Beneficial and relaxing for the back, shoulders and neck, this natural massage oil contains valuable Devil's Claw extract and natural essential cajeput oil renowned for their therapeutic qualities. 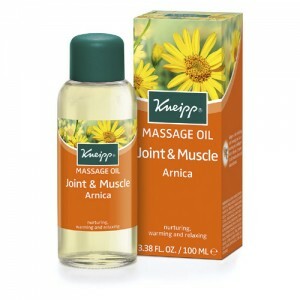 Perfect for daily use, Kneipp body massage oils are high in Vitamin A & E and contains essential fatty acids which absorb into the skin leaving no greasy film. Resulting in soft, smooth and luxuriously supple skin. For an effective massage, use upward strokes towards the heart and always keep in contact with the skin. Follow a soothing rhythm whilst massaging muscles only.